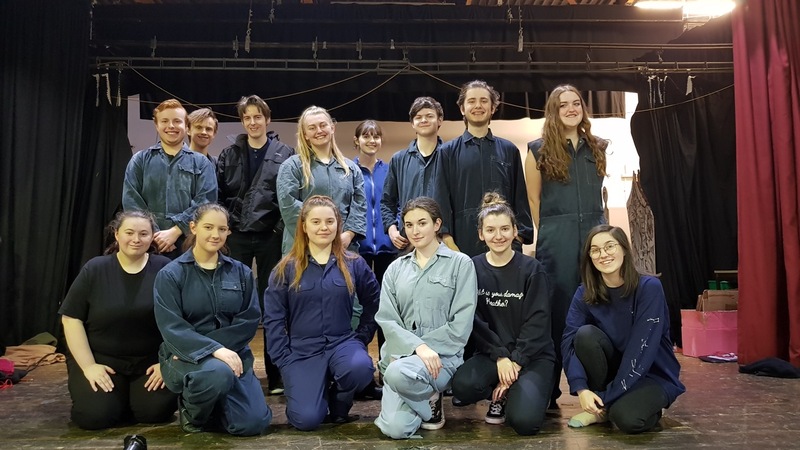 PEMBROKESHIRE College year one Performing Arts students have recently been performing The Crime of Your Life at secondary schools across the county as part of a two-week crime prevention campaign with Dyfed Powys Police. Students were tasked with the responsibility of organising the performance and production aspects of the show. With the cast and production teams working together, rig lighting was installed, the set was assembled and props were in place ready to perform in front of year seven year groups. The cast and production team closed their tour by performing a back to back production in the Merlin Theatre which was open to the general public.